Han completed a Juris Doctor (JD) degree in law at the University of Western Australia (UWA) in 2017. He was admitted to legal practice in March 2018. 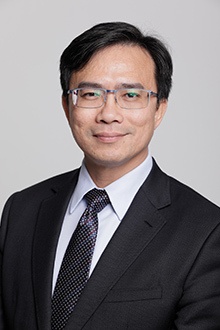 He also holds a Bachelor of Computer and Mathematical Sciences from UWA and a Graduate Certificate in Australian Migration Law and Practices from The Australia National University. Han has many years of experience in migration law representing applicants in business, investment and other visa categories. He is a Registered Migration Agent (MARN 1460673). Han brings to Robertson Hayles Lawyers more than 20 years of commercial experience in different roles including business analyst, start-up entrepreneur, corporate director, management consultant and migration consultant. Han has worked and lived in Beijing, Hong Kong, Taipei, Singapore and Kuala Lumpur prior to calling Perth his home. He speaks and writes fluent Mandarin, Cantonese and Malay. Han works primarily in the field of commercial and property law.